Nicotine gums are commonly mint or orange flavored. 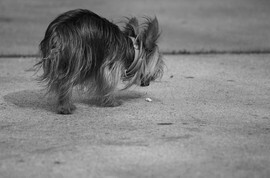 The problem is that cigarette butts and other forms of tobacco products have an ingredient that is very dangerous to pets, and in particular dogs. That ingredient is nicotine.